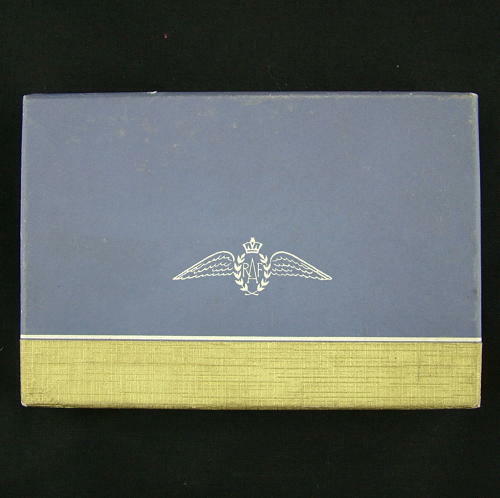 Card box containing four Irish cotton hankies, each 45 x 45cm with an embroidered RAF King's crown wing in the corner. Slight soiling of the one uppermost in the box otherwise in excellent unused condition. Stock code M22028.